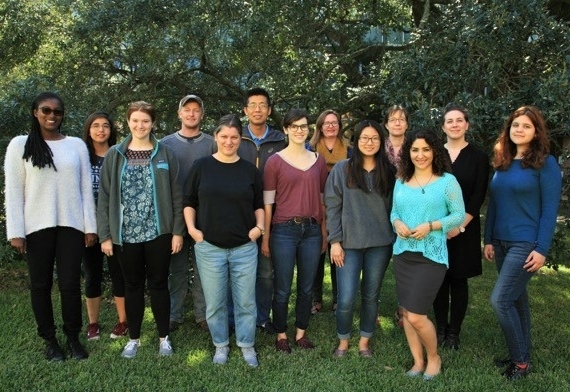 The Masiello Lab - We develop new tools to understand the cycling and fate of biogeochemically relevant elements in the Earth system, and we apply these tools to both fundamental and applied problems related to water, energy, climate, and life on Earth. We are particularly interested in building tools that are scalable from microns to kilometers. Measurement scalability is essential because micron-scale organisms living in highly spatially and temporally heterogeneous environments are major controllers of our climate system. Our newest gadgets are our teams of "spies and bloggers," soil microbes synthetically modified to report back to us on their decision-making in lab experiments. Other long-time favorite tools include solid state NMR, radiocarbon and stable isotope analyses, XPS, FTIR, pycnometry, and all kinds of microscopy. We're excited to be part of an NSF-funded team taking delivery of a new ToF-SIMS in Spring 2018. Rice University is a private research university located in the heart of Houston, Texas. Faculty, students and scientists in the Department of Earth, Environmental and Planetary Sciences conduct both academic and applied research at the forefront of the rapidly evolving fields of the Earth sciences. Dr. Masiello has been a professor in the Earth, Environmental and Planetary Sciences since 2004 and is jointly appointed in the departments of Chemistry and Biosciences. She is part of a team of scientists working to harness the tools of synthetic biology to address theoretical problems in carbon and nitrogen cycling. Applied aspects of the Masiello group work include contributions to our understanding of the mechanisms controlling charcoal’s ability to sequester carbon and alter agronomic processes. She is committed to creative teaching and outreach designed to make science accessible to everyone. Dr. Masiello is a Fellow of the Geological Society of America and a team she leads was awarded Keck Foundation grant to develop microbes as biosensors for Earth system science.